- Offers protection from unwanted and dangerous substances. - Beaded cuff ensures easy donning and prevent roll down. - Superior strength with better puncture resistance. - Full textured enhances wet and dry grip. - Thinner gauge improves tactile sensitivity. - Custom design enhances comfort and fit. 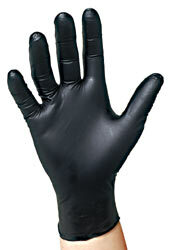 - Provides a safe solution for individuals who are allergic to natural rubber latex. - Conforms to ASTM D6319 (00aT3) and EN455 Standards. - Manufactured under QSR (GMP) and ISO9001 : 2000 Quality Management System. - Biocompatibility tested or biocompatibility friendly. - Resists permeation by a widen range of chemicals as compared to natural rubber latex of the same thickness. - The gloves shall maintain their properties when stored in a dry condition at temperature not higher than 30�C. 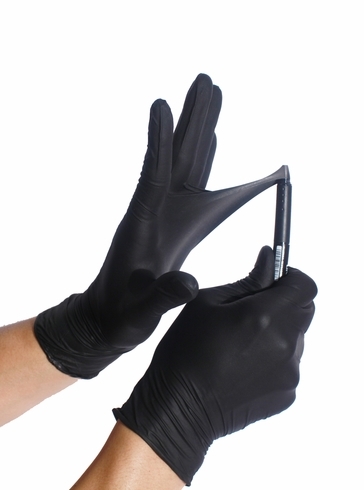 - Moisture Content: below 0.8% per glove.